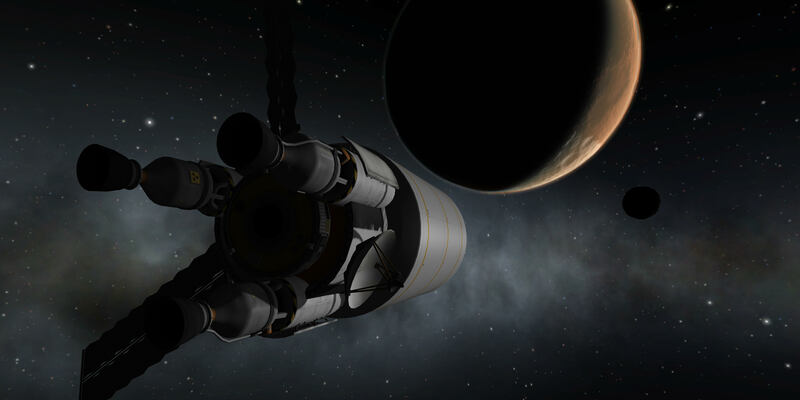 KSP Challenge: " Visiting Duna and Ike"
Check out the amazing and creative entries of the last challenge! 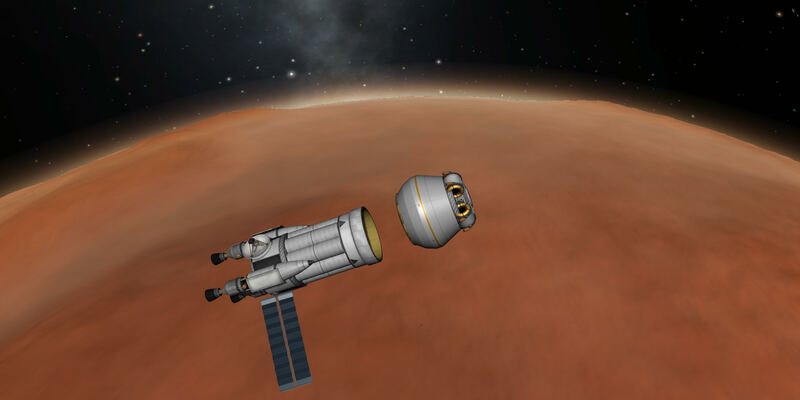 This week we have another theme for you: " Visiting Duna and Ike"
Thanks to @cratercracker for making this challenge happen! Share your screenshots, videos or images. We want you to have fun and share it with the whole community! 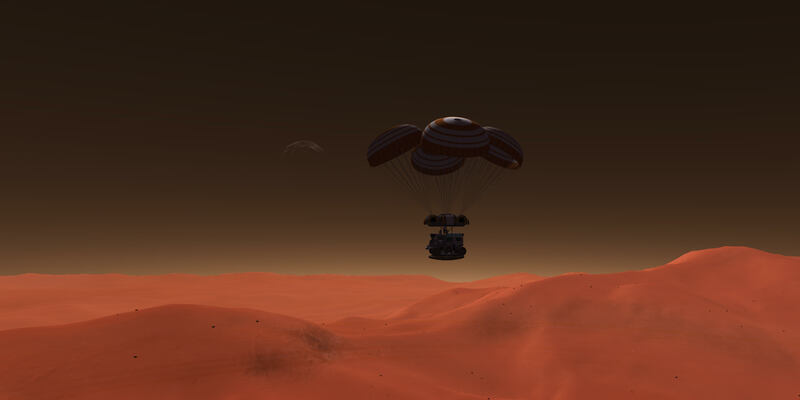 Hmmm... 2 weeks to figure out going to Duna/Ike and pinpointing landings... seems doable. Location: Far out in the uncharted backwaters of the unfashionable end of the Western Spiral Arm of the Galaxy. Nice! This looks like a good opportunity for some leisure KSP gaming and keep me away from the tedium of my RSS install. You don't have to pinpoint them, just get to. I think I'll try this one. 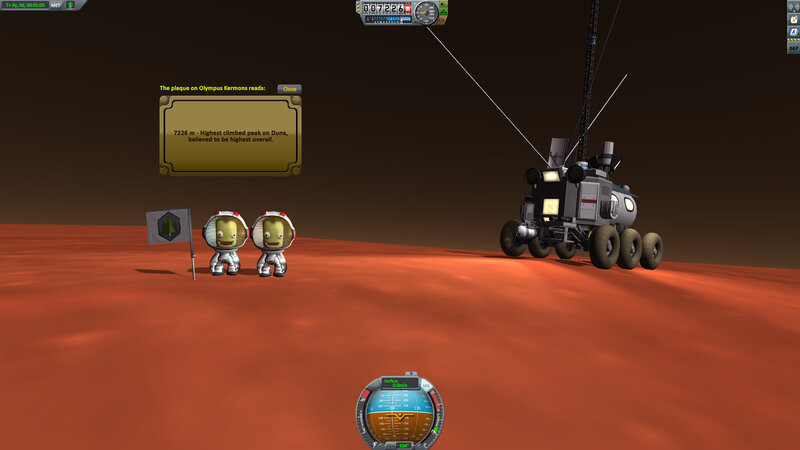 I'll give it another shot... any bonus points for doing Ike and Duna, and then returning to the KSC? Don't see landing my plane on a mountain doable though... will have to drive there. Quick question, what about refueling, allowed or not? Well, I so far have never landed on Duna and returned to Kerbin, (I've done 3 missions, and have not yet achieved the latter. Well, there was that one time with the SSTO...). 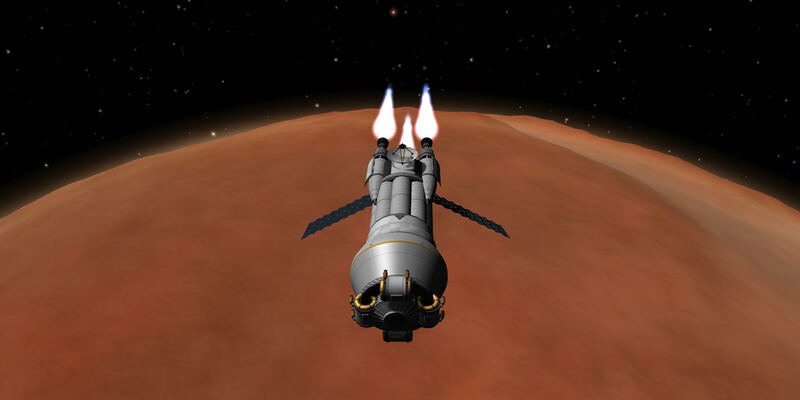 I'm gonna' make a Duna mothership. Is there some kind of hidden challenge in here? Or it is just visit A and B? I think it's actually A or B, with the challenge being visit highest point (mountain), lowest point (crater), or one of the poles. If I read it correctly, you do have to bring a rover, and "extra" challenge for driving it 5km and/or doing the Alpine mission. 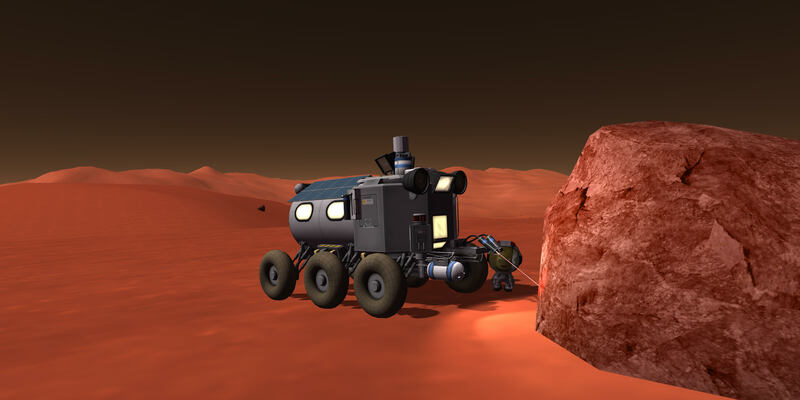 Also, there can only be one lander, so your lander (whatever form it may take) needs to contain the rover. 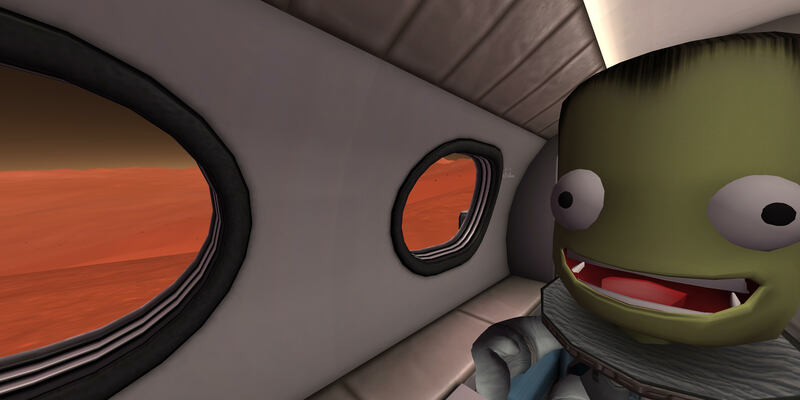 Additionally, there seems to be no "Return to Kerbin" requirement, nor a requirement to visit both Duna and Ike. At least this is how I read it... 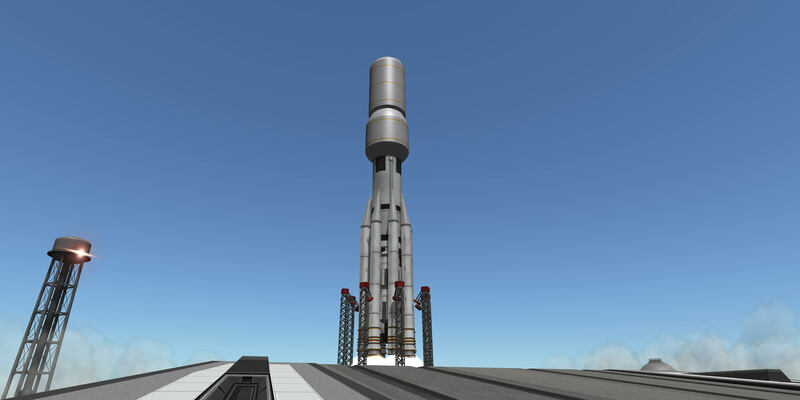 I may add for my own extra challenge, return to Kerbin and land at the KSC. I can't remember the last time I took a rover to Duna or Ike(assuming I ever have), I normally just use ISRU to go biome hopping. Anyone know where the high-points are on Ike and Duna? 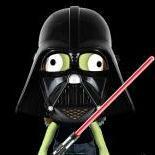 Scansat or the KSP wiki can help you out. I only saw the altitude of the highest point on the Wiki. No matter, the poles are plenty easy to find. The highest point is the bright white spot on the left. I noticed the single white spot on the Ike topo-map, so the highest point seems obvious. ...lowest point seems pretty obvious too. The topo-map for Duna was a little trickier... I'm maybe leaning toward one of the pink spots on a mountain range near the North Pole. 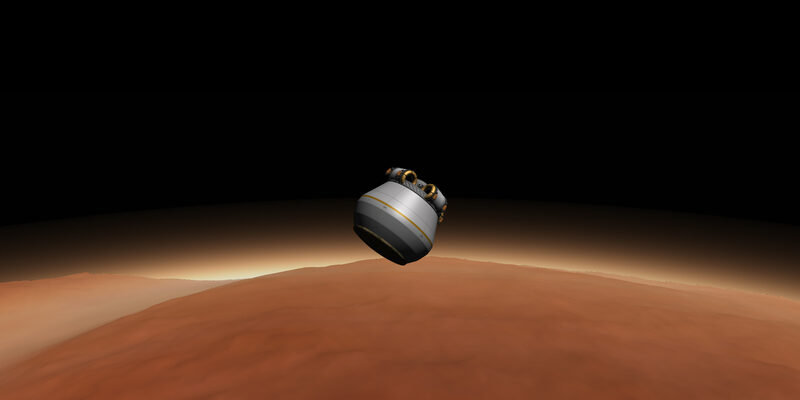 Lowest point for Duna looks to be a guess for which equatorial crater/crevace you'd most like to visit. I see a nice round one that looks promising. If the highest/lowest points aren't definitively a given, some exploration and screenshots of flags at various high/low altitudes may be a fun competitive element. whole ship can be lander or lander must be separate part of ship? or we can do it both way? 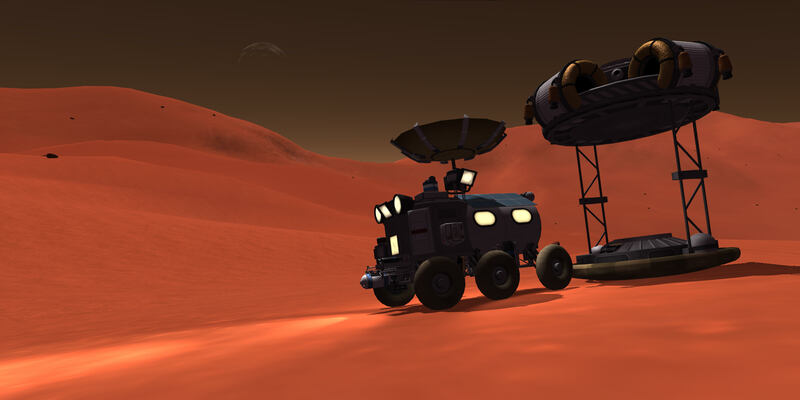 2. rover can be lander at same time? 3. rover must be manned ? ...and there appears to be no requirement to actually depart from the KSC; correct? Idea being an orbital mother ship is delivering the lander/rover and it's already in orbit somewhere. Except if it is already at Duna. So basically there needs to be an planetary system transfer... no Ike to Duna. Mission: climb the Olympus Kermons. 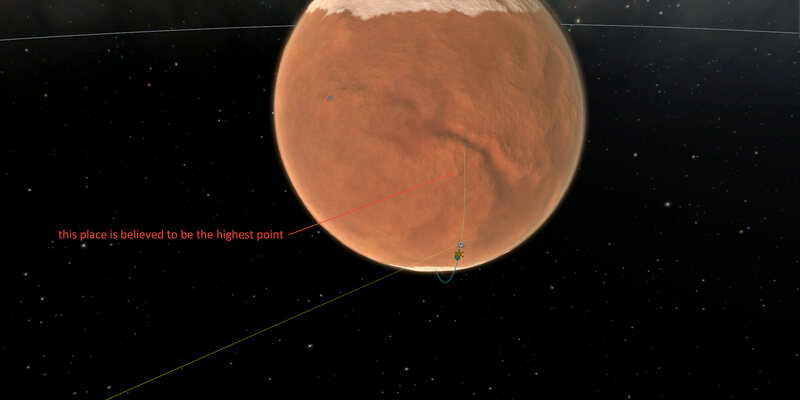 Propably the highest point on Duna. general condition: Pics, or it didn´t happen! 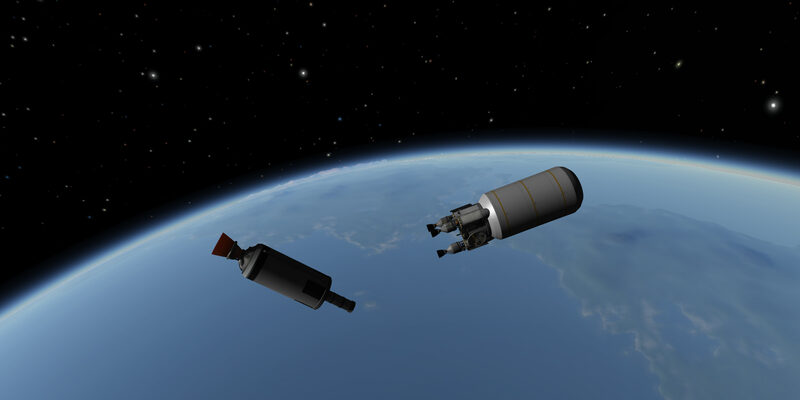 Separation and preparing vessel for "trans-dunian injection" maneuver. 105 days and finally! Duna! Aerocapture maneuver, altitude set to 30km. Well, still a bit high. 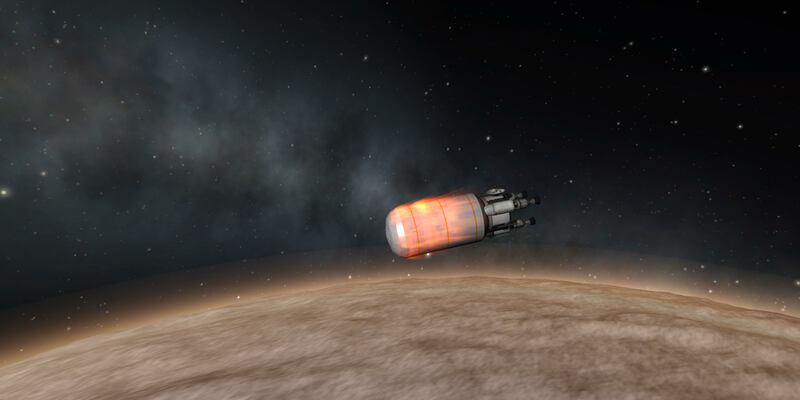 Heatshield fairings decoupled. Starting our descent. Landing map with marked target destination. Parachutes opens 5000m above surface. Time for little snack, before starting the hike. Collecting science while climbing up is a matter of course. Mountain peak reached at 7226m! Read the plaque. Olympus Kermons, highest climbed peak on Duna, believed to be the highest overall. ..... few moments later ... Anybody solved our way back home already?